"Edit With a Photo Editor" extension is a shortcut to edit web images inside your favorite external photo editor application. Whenever you want to edit an image, right-click on it and select "Edit with a Photo Editor" option. This will download the image into the default download directory of your browser and then calls your favorite photo editor application with the path to this image file. By default, the extension is configured to find the proper photo editor application (the one that is in the title). If it was unsuccessful, you can manually set the absolute path to the executable file from the options page. Note that for the extension to be able to connect to the external application, you will need to install a minimal native wrapper. For this project, I am using Andy's NodeJS native wrapper. What are the supported photo editors? What is "Edit with an External Photo editor" extension and how does it work? This extension adds a context menu to the right-click menu over image file types. When the item is selected, the extension downloads the selected image file from its URL into the browser's default download directory. 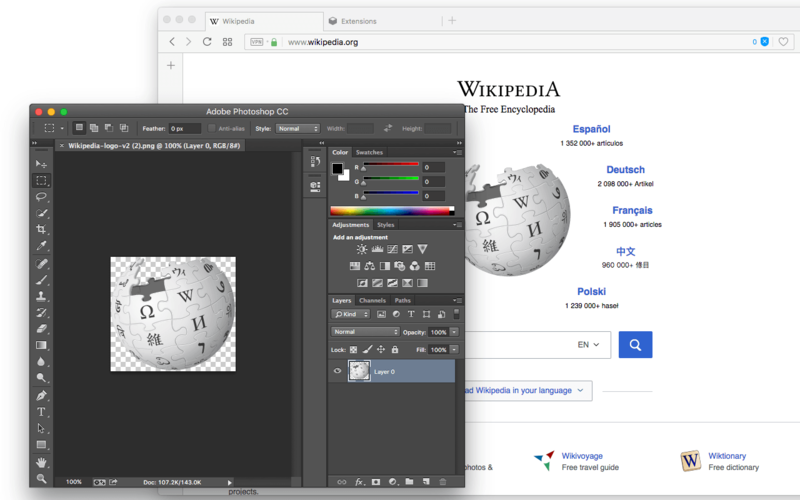 When the downloading job is finished successfully, the extension uses a native wrapper to call the external executable which is the actual photo editor application. How does this extension find the photo editor application? By default, the extension uses either the OS start command (Windows and Linux) or the open command (Mac OS) to find the photo editor application. This usually returns the valid path and hence the photo editor is called with no problem. If you get the installation page when the context-meu item is selected, it means the executable is not being detected automatically. If so open the options page of the extension and insert the path to the executable manually and retry. Why do I need to install the native wrapper application? By default browser extensions are limited to the browser environment (like to the HTML pages or browser toolbar). They have no access to the OS level APIs for security reasons. This extension uses a NodeJS wrapper as the external connector. It will pass OS level commands to this application and it will allow execution of external commands. For user safety, this extension uses the official NodeJS application and the native wrapper is an open-source project. Can I change the downloading directory of the extension? This extension uses chrome.downloads API to handle downloading jobs hence your browser decides where to actually locate the downloaded files. You can use the options page of your browser to change the downloading directory. What is the meaning of the new option "Use quotation around the input command" and when should I use it? This option places quotation marks around the input command. Use it only when the executable path has space and there are no input arguments in the command. When you have input arguments, you cannot place the quotations around the command, otherwise, the command cannot be resolved by your operating system and you will get an error. So for instance, if you want to use a custom command like open -a GIMP make sure to remove the quotation option since there is an argument in this command.